Mostyn Moreno Foundation’s 2014 V.I.P Day program recipients attend their senior prom. It’s an important time in their lives and this can really mean a lot to their long term self-esteem. Two high school seniors experienced their prom in style, due to a program developed by the Glenda Jean Mostyn and Joe E. Moreno Educational Foundation (Mostyn Moreno Foundation). The Foundation’s V.I.P. Day program provides funding to girls and boys with special needs graduating from a Texas public school so they can obtain clothing, accessories, and other styling needs in preparation for their prom. Kasey Almonte, senior at Port Neches Groves ISD and Kasey Bridwell of Henderson ISD were selected for this year’s program. Both had the opportunity to spend their prom day at a local spa for a true VIP experience and received funding for all their prom expenses, including the all-important prom dress. 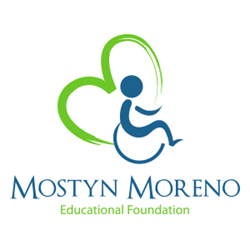 The Mostyn Moreno Foundation also sponsors an additional “Back-to-School” V.I.P. Day that provides students with special needs with a makeover, clothes, accessories and lunch.